I was sent the snacks for free but not paid for this review. A few months ago, the people behind Buck Wild sent me some gluten free products to review. Maybe it was because of my gluten free Aldi reviews? Whatever the reason, I'm all about free food. 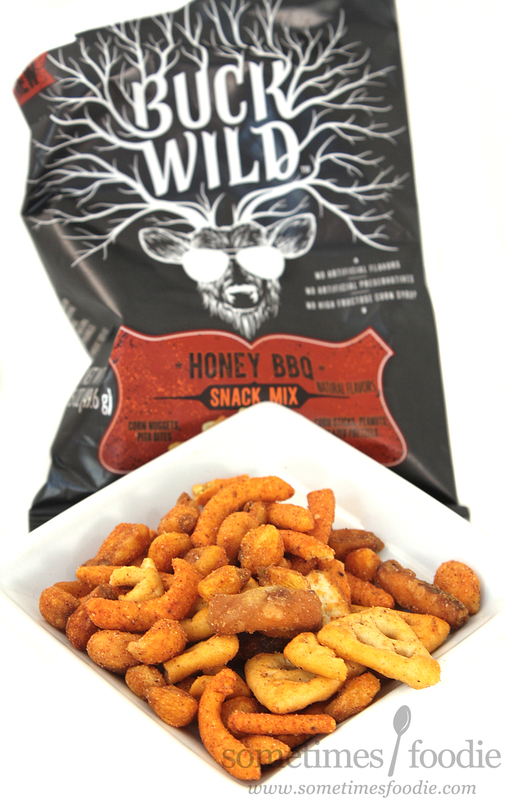 They sent over a healthy selection, but one of the products that caught my eye was this Honey BBQ snack mix. I looked like it had corn nuts in it, and I've been craving corn chips, so I threw it into my photo setup for some quick snap shots so I could dig in. 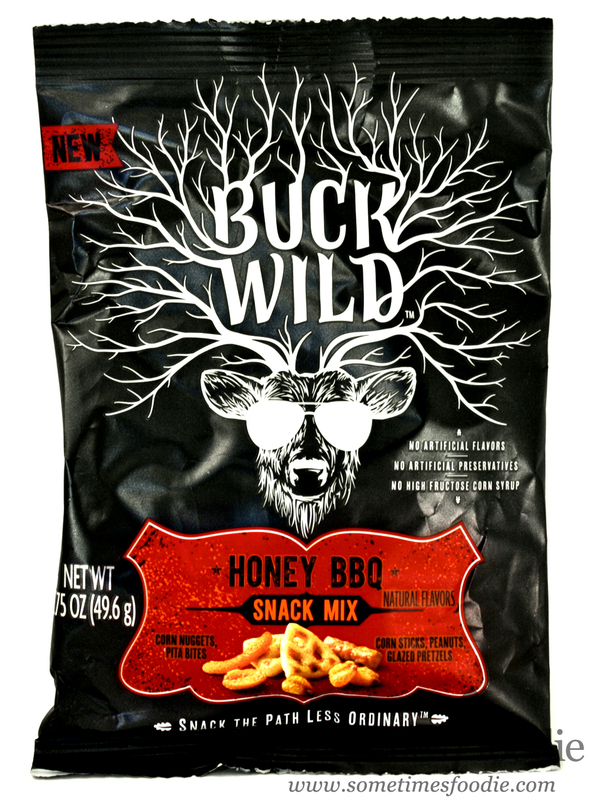 The logo and branding for this item is cool in that Urban Outfitters kind of way, but the name, "Buck Wild" always makes me think of Buckwild from Flavor of Love. Every time I say the name in my head I hear it in her voice. "It's time to get Buck Wild!" I am a former VH1 reality TV junkie, and the last time I saw was when she went to Monique's Charm School to try and better herself. I wonder how she's doing now...oh. 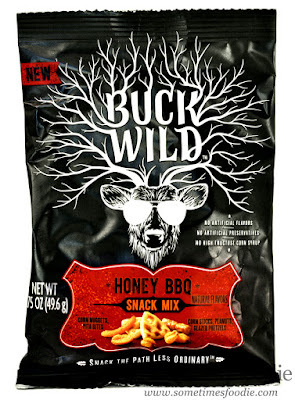 Favor of Love aside, I really like the typography and how it blends into the antlers of this "Buck". In my opinion, the bag's design is nicely laid out and very appealing. Just what you'd expect from a Starbucks exclusive product. 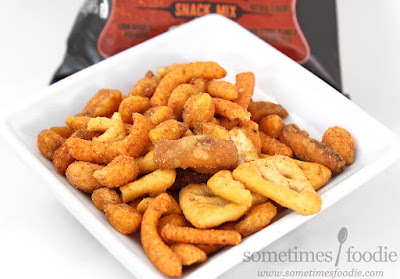 Overall, this snack mix has a sweet and smokey flavor, but it's more honey than BBQ. Originally I thought the seasoning was going to be more like the Honey BBQ twists from Fritos (which are one of my guiltiest junk food pleasures) but this is far more sweet, and even though I enjoyed it, I wouldn't buy this one for myself. 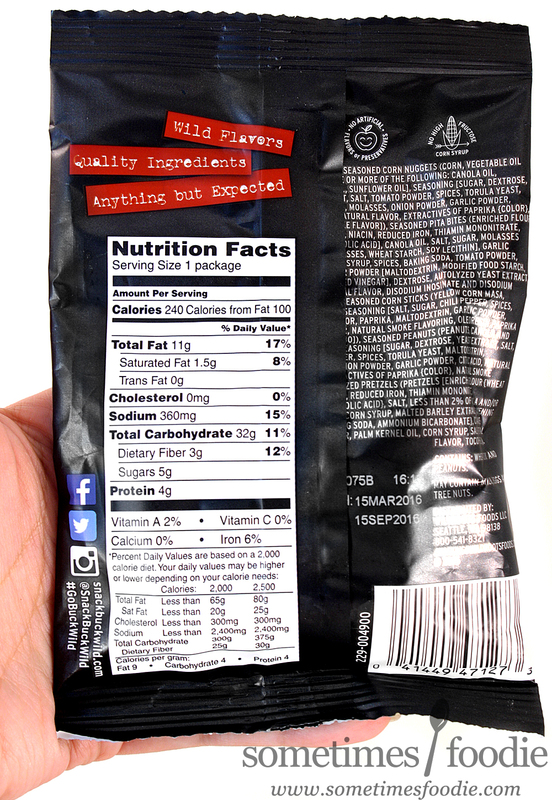 I rather have their Garlic Popcorn (which was amazing and a huge hit at my last BBQ). If you like super sweet BBQ sauce, or BBQ potato chips, you'd really enjoy this mix, but if you're looking for a sweet and tangy combo, this isn't it.